The UK is positioning itself as a hub for technology and the benefits are being seen outside of London as well. The UK is cementing itself as a hub for technology and as a clear leader in Europe when it comes to digital tech investment, digital skills and collaboration within ecosystems. This is set to continue as the latest Tech Nation Report revealed that digital tech investment is increasing – reaching £6.8 billion, 50% higher than any other European country. 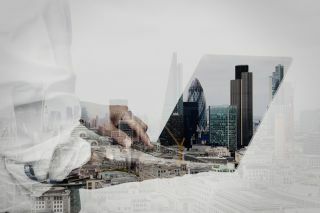 This raising of the UK’s tech credentials is now vital for business growth, connectivity and efficiency; and the the benefits aren’t exclusively being seen in London. Technology allows businesses to transcend geographical boundaries and we’ve experienced this for ourselves. We founded the company in Wales but can do business anywhere in the world. Tech Nation found that the digital tech sector has added nearly £400m to the Welsh economy and we at Delio are proud to be a part of that driving force. This impressive growth rate shows that perceptions about starting a tech business outside of London and specifically in Wales is changing. We chose to locate in the South Wales cluster because of access to IT skills and support from the Accelerated Growth Programme. Programmes such as this are supporting technology and entrepreneurship in Wales and driving strong economic growth. With the affordable cost of living, availability of office space and support of digitally-focused government schemes, Wales is becoming an increasingly attractive place to locate. Being based in regional hubs still allows you access to a number of other UK advantages, making it appealing for start-ups – tax relief being one. The Enterprise Investment Scheme (EIS) and Seed Enterprise Investment Scheme (SEIS) by UK government are designed to help smaller higher-risk trading companies raise finance by offering a range of tax relief to investors who purchase new shares in those companies. We also have Entrepreneurs’ Relief which means that you’ll pay tax at 10% on all gains on qualifying assets up to £10 million. R&D tax credits also enable entrepreneurs to be rewarded for innovating in their sector. All of these benefits are encouraging digital start-ups to base themselves in the UK and this kind of support is vital for the success of these organisations – helping create a thriving UK tech hub. This continued growth will likely be a great source of job creation across the regions. The growth rate of digital jobs in the UK was more than double that of non-digital jobs between 2011 and 2015. These jobs are skilled and well paid and there has been a steady increase in the salaries of technology professionals. This has potential to have an accelerator effect as more jobs create more spending which will have positive effects on growth. Creating an established tech community in across the entire breadth of the UK and seeing the success that comes out of this can inspire a nation of innovators and encourage development in other sectors that can benefit from the expertise and resources in technology that are available. Universities are essential to all digital economies. In the UK we have access to a number of great universities providing an educated workforce to help push forward developments in technology and business. The UK is home to eight of Europe’s top 20 universities which puts us in a strong position to compete internationally. Universities generate skills and innovation while attracting investment and talent. Not only are these graduates from top ranking Universities but they have experience using the latest in modern technology and bring a new way of thinking to the sector. It is important that we harness connectivity to create a strong tech community and hub where all innovators can benefit from external economies of scale. Like any ecosystem, the sector relies on interaction between its community to thrive. This is already starting to happen as skills and resources cluster together with regional hubs developing across the UK – the Tech Nation Report has seen a 28% increase in the number of tech start-ups in South Wales alone, of which we are one. The strong sense of community and collaboration that is apparent from within a hub can be a real advantage. Importantly, regional growth doesn’t detract from London’s offering, it enhances it. The development of technological expertise around the regions complements what London has to offer and firmly cements the UK as a global tech hub – so you can do business around the UK and know that you will be dealing with some of the best tech companies in the world. Not only is there growth in the tech space but there is real genuine success. Tech Nation reports that the turnover of UK digital tech businesses has reached £170 billion, an increase of £30 billion in five years. This success in technology will have a significant impact on the growth and success of other sectors, particularly financial services. Through innovative technology, firms are creating solutions to problems being faced by financial institutions. By being responsive to the needs of incumbents and their customers, tech firms are able to improve efficiency and accelerate growth. This has the potential to change the way people do business for the better and ultimately improve services for the end consumer. With both financial services, and tech start-ups increasingly locating in the regions, there is real opportunity for development and collaboration between the two sectors. The Tech Nation Report illustrates the progress and optimism we are experiencing in the industry in the UK. The UK’s digital tech sector grew 50% faster than the wider economy in 2015. This impressive statistic paints a picture of the sector’s productivity and development. This growth is creating jobs, generating wealth and supporting the wider economy. The UK is quickly becoming a real centre for technology on a global scale and will continue to expand with the continued support of investment and government schemes. Delio Wealth is a complete white label platform solution for private assets, that helps organisations and their advisors enhance their offering through connecting private deal flow with high net worth capital.